OpenEMR is an open source, free, web based application which is used for electronic health records and medical practice management. It is a cross platform application and runs fine on all popular operating system like Microsoft Windows, Linux and Mac OS. It is easy to configure and use, lightweight and fast, you can install and access it remotely from anywhere in the world. 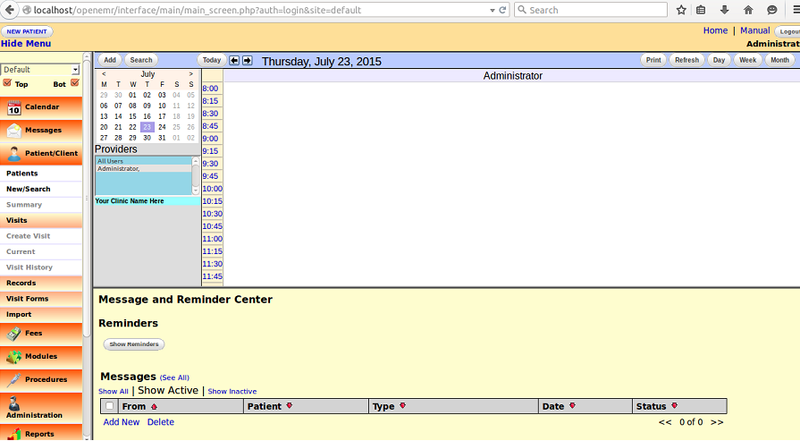 It used MySQL on the backend for storing medical records and front end of the application is developed in PHP. Here are some of the noteworthy features of this open source application. Please note that it has a long list of features, only a chunk of them is listed below. Easily track patient’s demographics like primary information, contact, HIPAA and insurance details etc. Ability to notify patients via SMS and emails for their appointments. It offers a very compact and highly flexible calendar for setting up and managing appointments. Create and send subscriptions to patients within few clicks. Easy web based interface to track all patient’s prescriptions details. Support for electronic medical billing for patients and doctors. Ability to add reminders for patients and physicians. Multilingual support (currently supports around 30 languages). Let’s see how we can install this awesome application on ubuntu. As already mentioned, it has following dependencies (pre-requisits) that must be installed on our Linux system before we attempt to run this application. In order to install all of the above mentioned components, its better we should just install Lamp-stack. It will suffice for the needs of OpenEMR. Launch your ubuntu system terminal and run following command to install lamp stack. 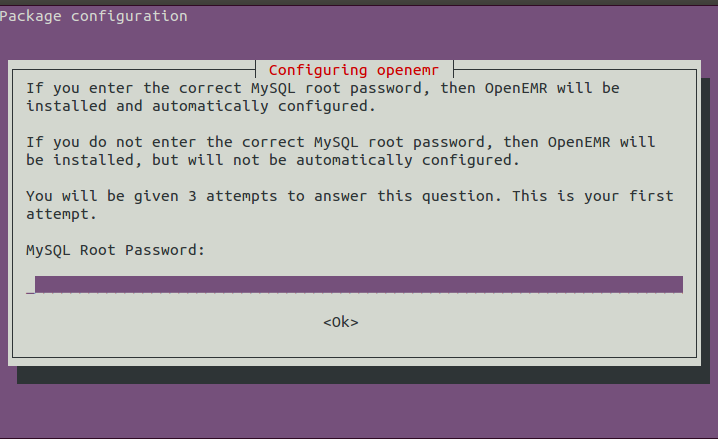 During the installation process, it will launch a prompt to specify the root password for mysql installation, Note down the password you specify here, as it will be needed later when installing OpenEMR. That’s it, as soon as the installation is complete, run following command to start Apache service on our ubuntu system. Load your browser and launch http://localhost to verify that apache is running fine. Successful installation should display the page as shown in following screenshot. 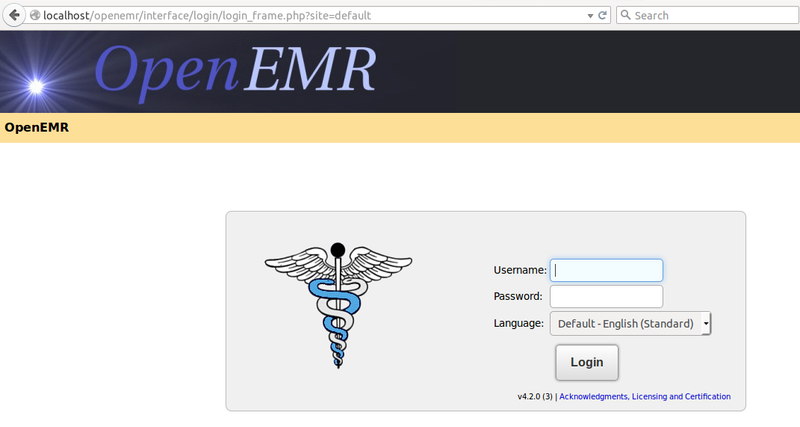 Alright, we are all set to go ahead with the installation of OpenEMR. 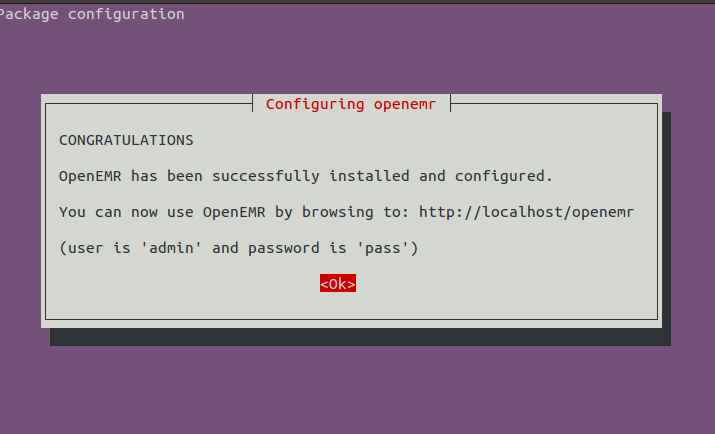 Download OpenEMR installer for Ubuntu operating system from following URL. 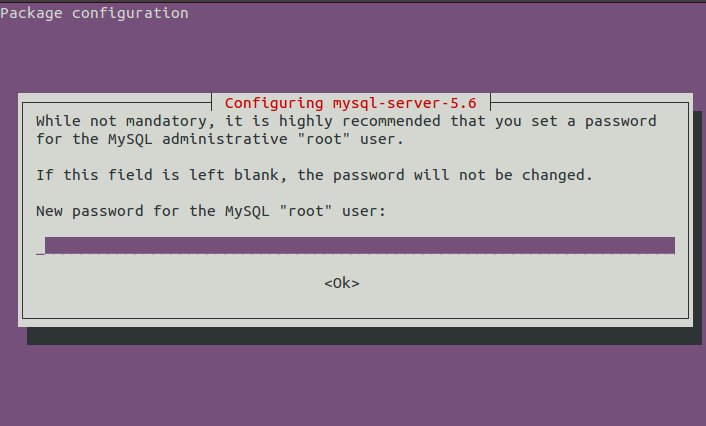 During the installation process, it will launch a prompt to provide your mysql logins, enter the root password you specified in the mysql installation phase earlier. That’s it, congratulations, OpenEMR has been installed. You can launch it by loading http://localhost/openemr. Login with “admin” as username and “pass” as password. It is a popular and widely used open source system, however, it is in need of funding and support so that the development team should keep this venture running. If you are satisfied with the performance of this application, please say thank you to the developers by donating here.